So, you’ve got your team ready for the morning announcement. Everything is in place and you’re about to begin the recording process, but that’s when you notice that some of your teammates are feeling a little too nervous. Well, don’t be worried because what you’re looking at is simply “camera panic”. What’s camera panic you ask? Well, to put it as simply as possible, it’s a fear of being in front of the cameras. It’s basically a form of stage fright. That nervous teammate of yours isn’t used to being in front of a camera. There are several reasons why a person might have camera panic. This is usually because the camera adds to the idea of being seen, just like a stage does. Not all people like that. Some of us prefer to go unnoticed and not be under the spotlight. However, in the world we live in, it’s necessary for one to be confident and have the ability to present himself/herself in front of an audience. So, the right thing to do in this situation is to help your teammate get over that fear. Trust us, you’ll be doing that person a huge favor. But, before you help him/her out, make sure you understand what you’re dealing with. Why Do People Get Camera Panic? The primary reason behind camera panic is the same reason that drives stage fear – the fear of being seen and judged by people. As humans, we are always a little self-conscious about how we are perceived. Things are usually fine until we are put in a place where we know we are going to be looked at and most likely, be judged as well. But, the good news is that there are ways to deal with this kind of fear. The steps to eliminating camera panic are the same as the steps to deal with stage fear. The first thing you need to teach your teammate to do is to learn to relax her/his body. Releasing the tension present in the body can help one steady his/her voice and calm the mind down. One way to relax the body is by making a humming noise. Similarly, eating a fruit before facing the camera can help. This is to alleviate the nauseous feeling that often comes with anxiety and camera panic. However, make sure your teammate does not eat a heavy meal. Stretching is another way to ease the body into a relaxed state. So, ask your teammate to stretch their legs, arms, and shoulders. You can join in too. Apart from relaxing the body, one also needs to relax the mind to help with camera panic. One of the best ways to do this is by meditating. Ideally, this is best done in the mornings or at least, an hour before the performance. One doesn’t even need to spend too much time with it. Just 15 to 20 minutes a day should be good enough. Meditation involves sitting on the floor with folded legs and closing one’s eyes. While doing this, the hands must be rested on the lap and the breathing must be relaxed. The objective is to reach a mental state where no thoughts are present. This, in turn, allows the body to enter a relaxed state. Another important thing to do is avoid anything that functions as a stimulant. For example, coffee or sugary foods can boost energy, which can also lead to increased anxiety. So, to be on the safe side, make sure your team indulging in such treats before the performance. The mind plays a key role in all of this fear and anxiety stuff. Therefore, learning to control the mind can be very helpful. So, start convincing your mind that you don’t experience anxiety. This can seem farfetched, but it does work, if done with enough conviction. In fact, you and your team can set a time where your mind automatically stops being anxious. Keep doing it on a regular basis and you will have conditioned your mind to obey your requests. Exercise is another way to avoid panic and anxiety. Plenty of studies have proven this to be true. What happens when we exercise is that our bodies begin to produce more endorphins. Endorphins are mood-improving hormones and they can help us reach a positive state of mind. Needles to say, a school has enough opportunities for exercise. For example, a quick game of basketball an hour before the performance should do some good for the whole team. Laughter is another excellent way to alleviate tension and nervousness. So, yeah, make your team laughs before going on camera. There is plenty of funny and safe material on the Internet. So, you can start with that. You can also start with laughter exercises. A quick Google search on the topic will give you everything you need to know. One of the causes for camera panic is the sense of being unprepared. So, make sure your team has everything set and that everybody has practiced his or her lines. Also, make sure everybody is early for the performance. Delays will only cause more stress. Being prepared in advance can bring down a fair bit of stress. This strategy might sound a little odd, but it’s known to work. To prevent camera panic or stage fear, people are often advised to imagine a loved one as every person in the audience. This tends to have a relaxing effect on the speaker or performer. Maybe you can try this with your own team and see how it goes. Also, since it is in front of a camera, the strategy might be relatively easier to apply. So, there you have it – strategies to fend off camera panic. Make sure you apply some of these strategies. As long as you are encouraging, the strategies are bound to work on your team members. These are tried and tested methods; so, there’s very little chance of failure. How to Create a Selection Process for Students That are Interested? 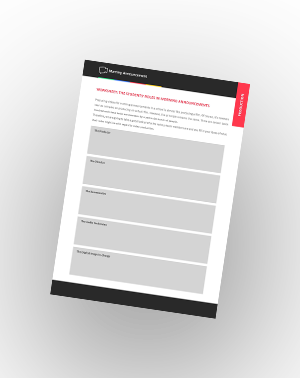 Download our FREE Checklist against Stage Fright! 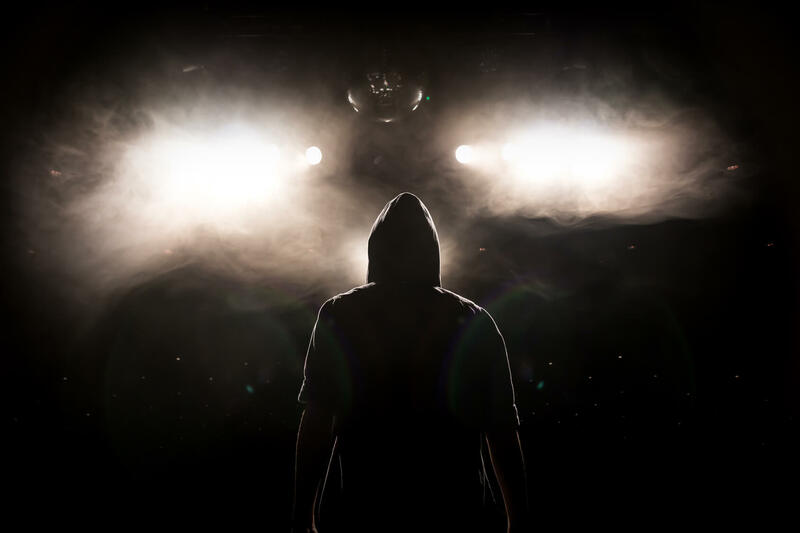 8 useful tips that will help you to overcome your stage fright!